Isabella’s Islay is much more than a luxury product; it is an experience for all five senses – available to a privileged few. 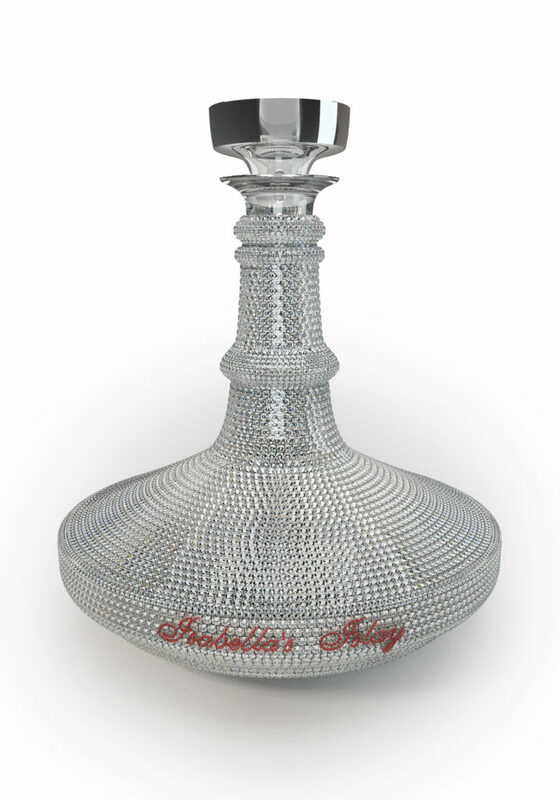 The exclusive Isabella’s Islay Original being available at the price of US$5,200,000, the most expensive whisky in the world. 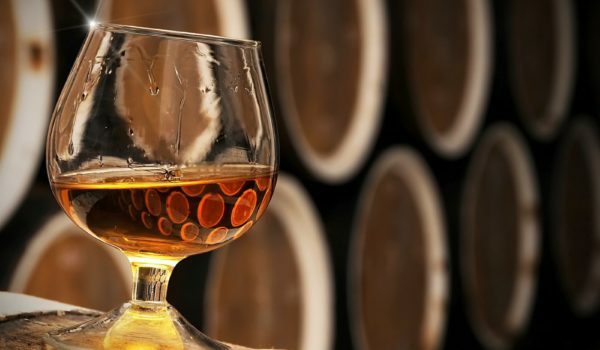 Combined with an astonishing diamond and ruby decanter, this unique object marries the age-old art of whisky making with the skills of some of the best master jewellers in the world. The Original Decanter is made of three layers, firstly produced by hand a beautiful English crystal Decanter as the base, then added is gold to cover the Decanter at which point the master jeweller’s add over five thousand Diamonds to the surface of the Original’s stunning Decanter. 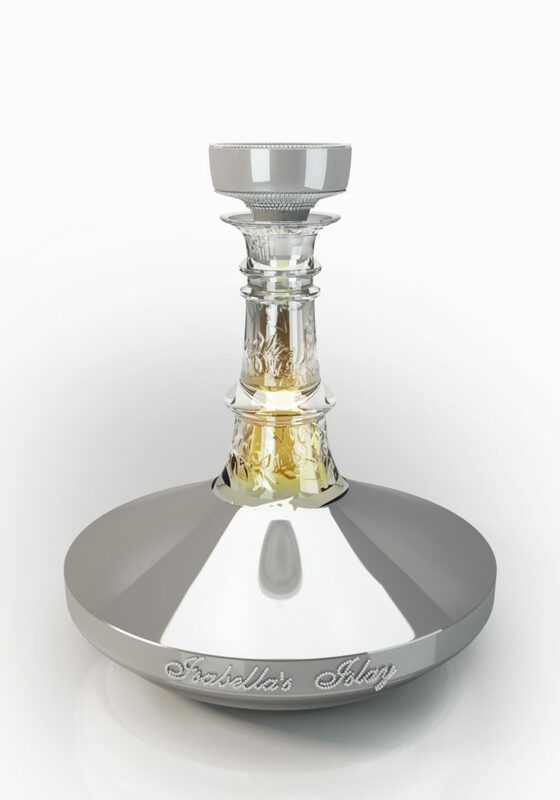 Also there is the Special Edition which is made from hand crafted English Crystal Decanter, the pinnacle of the neck of the Decanter is covered in gold and diamonds and then the Decanter is almost fully covered in 18ct white gold but then the neck of the crystal is left free of gold to show the unique inspired crystal design.